With a professional experience of over 13 years in the legal area, Lavinia’s expertise covers all the specific matters related to real estate industry. 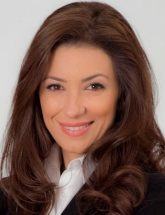 She has successfully negotiated and closed complex projects and business structures, provided assistance in transaction arrangements, development issues or constructions and urbanism and applied integrated exit solutions. Lavinia is also specialized in FIDIC contracts.